Toyota Kirloskar Motor has launched the limited edition Liva in India at Rs 5.76 lakh and Rs 6.79 lakh for the petrol and diesel trims respectively. The car will go on sale from this festive season and will be available till December 2015. 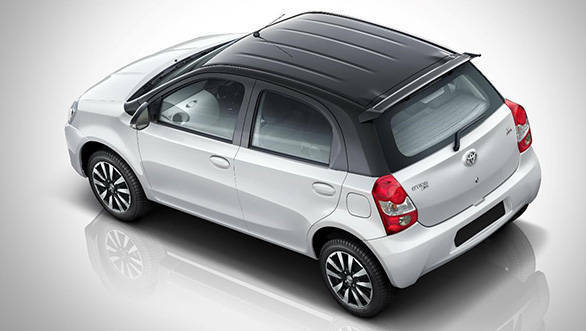 This 400 units limited edition Liva is based on the V and VD variants and is Rs 9,000 more expensive. All prices mentioned are ex-Delhi. Dual tone paint job with black roof and pillar, black grille and ORVMs, rear roof spoiler, 15-inch diamond cut alloy wheels are the changes on the outside. 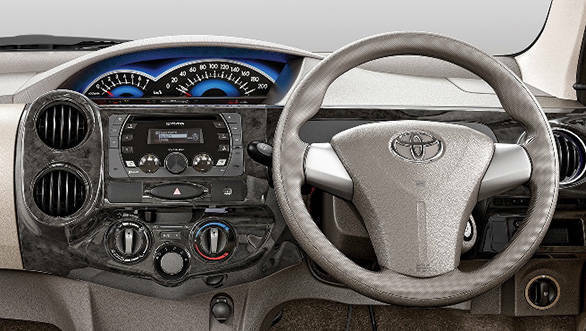 Wood inserts on the dashboard, Bluetooth-enabled audio system and dual tone seat covers are the additional features on the inside. On the safety front, ABS with EBD, dual airbags and front seatbelts with pre tensioner and force limiter come as standard. The 68PS/170Nm 1.4-litre diesel engine with a claimed mileage of 23.59kmpl and the 80PS/104Nm 1.2-litre petrol engine with a claimed mileage of 17.17kmpl continue to soldier on. Toyota have discontinued the 1.5-litre petrol Sportivo trim. On the occasion, Akitoshi Takemura, senior vice president, Toyota Kirloskar Motor Pvt. Ltd. said, "It is our endeavor to continuously upgrade our offering in line with the changing lifestyle preferences of our customers and with Etios Series being received "Most Promising Brand 2015" by Economic Times and we are confident, the New Liva will further delight our customers this auspicious season".